Week Seven did not disappoint college football fans at all. The good games were as good as expected, the bad ones were what we thought they were, and some of the ugly ones were actually not that bad. This week's slate of action only features one matchup between ranked teams (No. 15 Texas A&M and No. 24 Ole Miss), but there are a number of games that have the potential to be quite entertaining. Of course, if you are a gambling man there are some good games that you may want to be careful of, some with spreads that are just plain bad, and of course some ugly ones that only fans of the winning team can enjoy. A few weeks ago this game looked like it would be a stinker, but now it has the potential to be one of the better ones of the weekend. 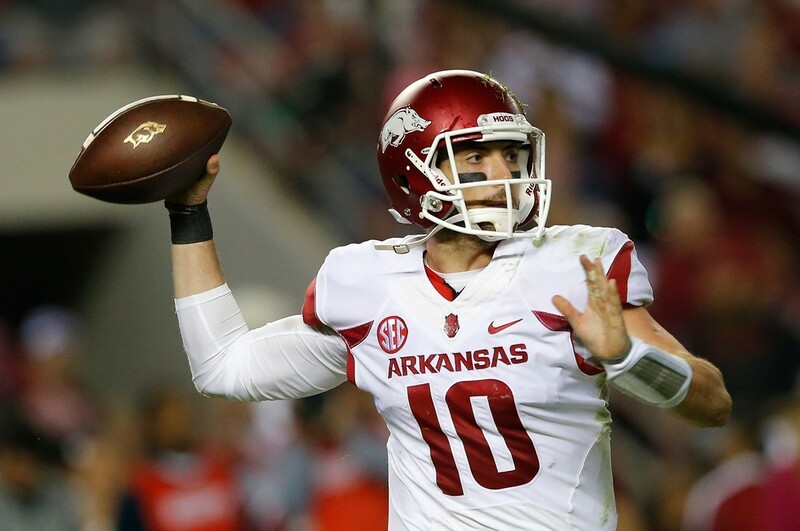 Sean White appears to be finding his groove as a starting quarterback, and Arkansas has a pretty good one in Brandon Allen. Both running games are solid and their defenses are decent. I like Arkansas for this one because Brandon Allen is going to be able to pick the Auburn secondary apart, and the running game will preserve the lead (Arkansas by a touchdown). This one could be pretty darn good. Watson has the Clemson offense clicking and the Tigers defense is not too bad either. The trick to this one will be whether Miami QB Brad Kaaya can get on track early and stay on track. If he can, this will end up being a pretty good game. If he doesn't Clemson will run away with it. Look for Al Golden to mess this one up (Clemson by two touchdowns). If I were the type to make dark horse picks this one would be it. Michigan State is the better team, but the Spartans don't always click on offense leaving their defense the task of bailing them out. Indiana has a pretty explosive offense capable of putting up a ton of points, but has trouble stopping people. This game could either be an upset win for the Hoosiers or a chance for the Spartans to prove the win over Michigan was just the beginning. If I were a betting man I'd take Indiana and the points. This one could turn into the game of the weekend. LSU will run Leonard Fournette early and often of course. The Hilltoppers give up close to a 170 yards a game on the ground so he will probably do quite well. However, Western Kentucky has a gunslinger in Brandon Doughty, who has guided his team's offense to over 400 yards passing and 44 points a game. Should Western Kentucky be able to get out ahead of the Tigers they may force Les Miles to lean more on Brandon Harris than he'd like to. I don't expect Western Kentucky to win, but I wouldn't be shocked to see them cover the spread. Yes, Ole Miss beat the team that crushed Texas A&M last week, but the Rebels are not the team they were back then, and the Aggies are not the team that lost to Alabama. Take away Kyle Allen's three pick-6s and the Aggies win a close one over Alabama. Ole Miss will want some redemption after being beat by Memphis last week, but the A&M defense will not give them a chance to figure out what's wrong on offense. As long as Kyle Allen throws the ball to the right team the Aggies will win this one by seven (at least). Both teams have good offenses as well as stout defenses which is probably why the spread is as small as it is, but having watched both teams lately I can't see how the Utes are only a 3.5 point favorite. Devontae Booker is playing as good as any running back not named Fournette in the country, and Travis Wilson is no slouch in the passing game. He isn't going to sling it around like Cody Kessler, but he is a capable player. Notre Dame gave Utah the blueprint they need to win against USC: establish the run and take away their's. Utah is quite capable of doing so and will. Utes will do like Notre Dame and win this one by 10. I'm a little surprised that the spread is actually in favor of UCLA on this one. Josh Rosen has shown flashes of his talent lately, but more often than not he has looked like a freshman in over his head. Jared Goff and the Golden Bears haven't been super sharp either, but they have definitely played better than Rosen and the Bruins. My only guess is that the odds makers are banking on UCLA's secondary being able to clamp down on Goff. I don't see it happening. Cal is simply a better team than the Bruins right now. Take the points. Why is it that people want to insist that Texas is better than it is? Yes, they looked great against Oklahoma, but they looked great against Oklahoma State before they stunk it up against TCU. Jerrod Heard has a lot of potential as does the Longhorns defense, but you can't count on either. K-State has dropped three in a row, but two of them were excellent efforts (Oklahoma State, and TCU). Last week's game against Oklahoma was an isolated incident for the Wildcats. They'll take offense to the low spread and knock this one out of the park. This is a bad line. 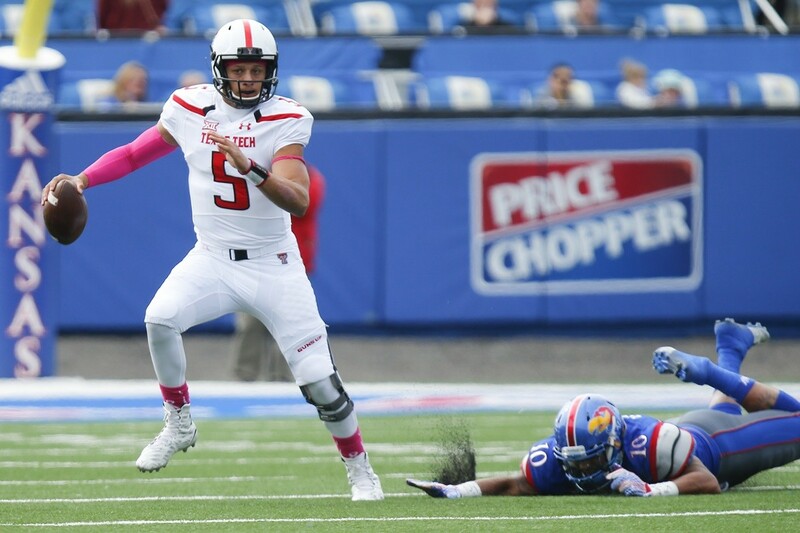 With the exception of the Kansas game, Texas Tech has been playing very good football. Patrick Mahomes guides one of the best passing games in the nation that is augmented by a pretty good rushing attack, and assisted by a pretty decent defense. Yes, Baker Mayfield is a beast and will have a lot of fun against a suspect Red Raiders defense, but Mahomes is good enough to make a game of this one in spite of Oklahoma's defense. I wouldn't put it past Texas Tech to win, but if they don't Oklahoma will not cover the spread. Florida State should feel a little insulted that they are only favored by five in this one. With the way that Dalvin Cook has been running and the FSU defense has been playing it should be a touchdown at least (if not more). Factor in Georgia Tech's reliance on the run (and FSU's ability to stop it) and the spread should be even higher. The only thing I can figure is that Vegas is counting on Everett Golson to implode. They must not be watching him play of late. Seminoles win this one easily. Iowa State is not particularly strong on offense or defense. Baylor is one of the best offenses in the land, and has a defense that is not too shabby either. They will cover this one at some point during the third quarter. Tennessee is playing better football this season, but it is not quite ready to run with the big dogs. They are good enough to hang with Alabama for a quarter (maybe the first half), but once the Crimson Tide get rolling in the second half this one is going to turn ugly. Point spread could be 24 points and Alabama would still cover it. It's a good thing Kansas has such a good basketball team. That way students know there will be at least one good team for them to support. Injuries have been way too unkind to Kansas this season, and that will be apparent against a good Oklahoma State team. Don't expect another surprise performance from Kansas like the one they had last week. Mason Rudolph will have the spread covered by the half. 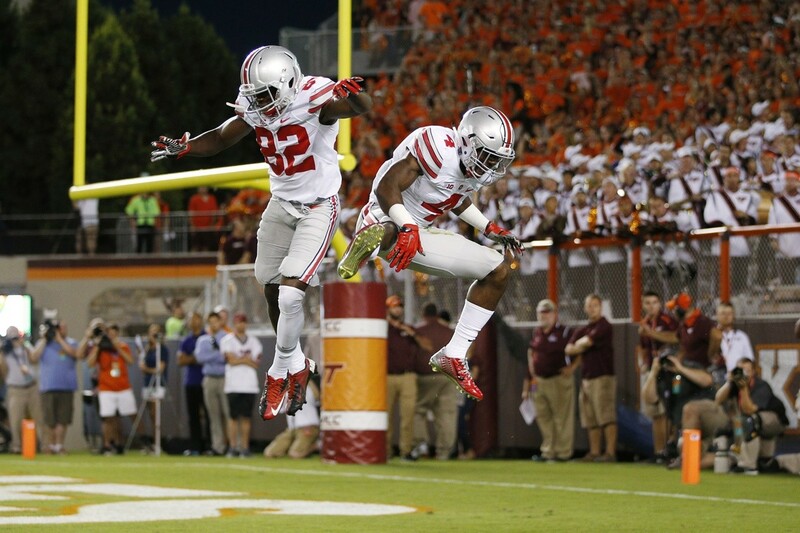 Ohio State is my least favorite team to watch in college football. They are capable of great things, but seem to prefer tripping over the expectations the world has for them instead. Should they beat Rutgers by 21? No—they should win by 41, but they won't because they will not play a full game to the best of their abilities. If you have to bet on them go ahead and give the points away, but I wouldn't trust the Buckeyes as far as I could throw Ezekiel Elliot.